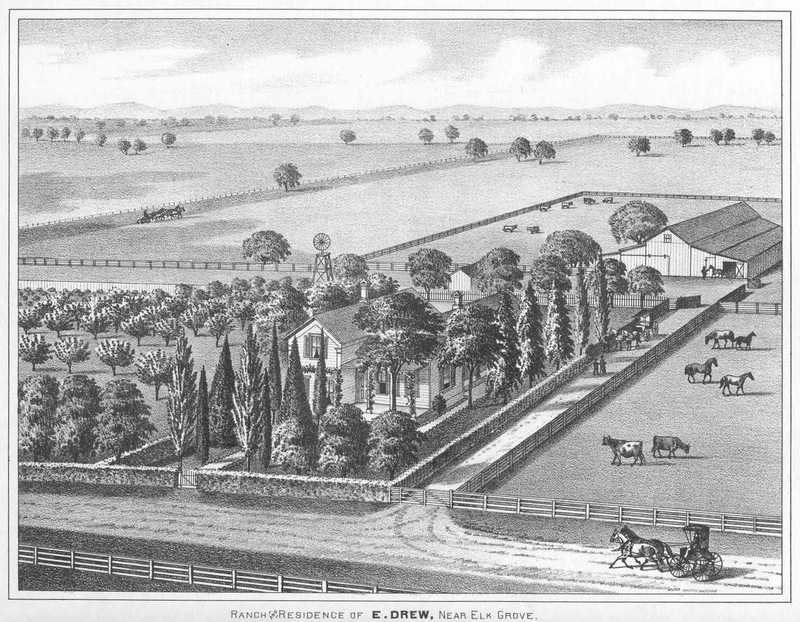 In January 1876 the Elk Grove Building Company was incorporated and began building structures in Elk Grove. 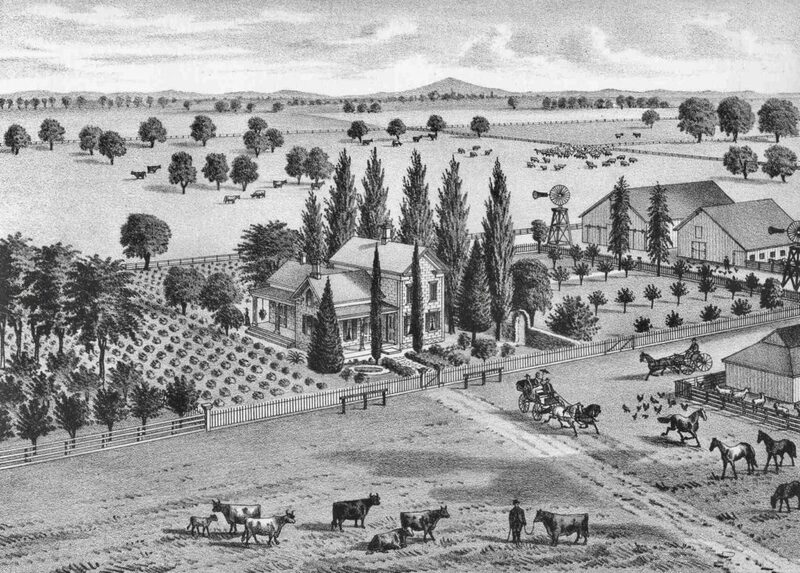 The Elk Grove area was part of the San Joaquin Township (“a small geographical area,” kind-a-like a county in a county) and included Dry Creek and parts of Alabama, Franklin, Brighton, and Lee Townships. On October 20, 1856, the Board of Supervisors established the boundries. 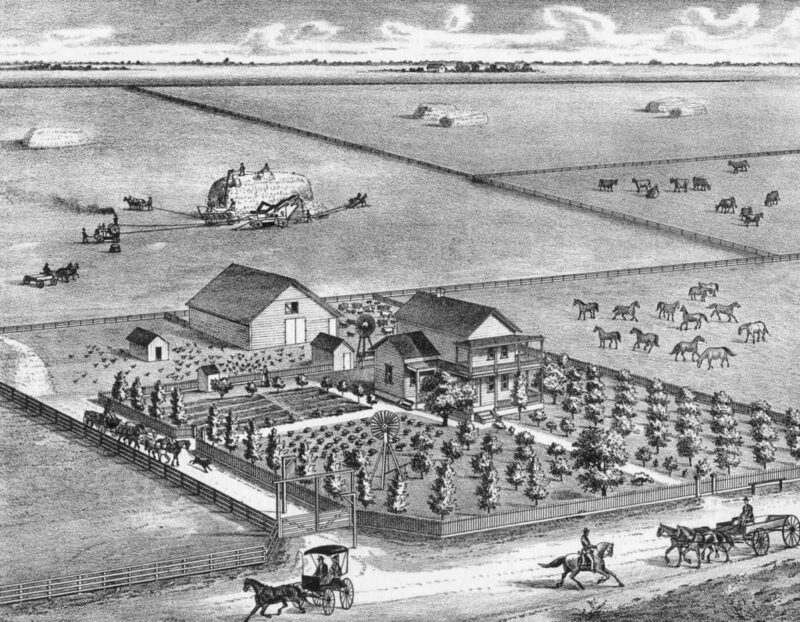 1849 – Parker, W.F. – 340 acres for $10, 000 – Sailor, Mining, Farming, Stock Raising. 1849 – Kelly, Andrew – average for $15,000 – Lead mining, Farming, Kept Hotel in Sacramento. 1850 – Bond, A.E. – 320 acres for $3,600 – Masonry, Farming, Stock raising, School Trusty. 1850 – Johnson, S.O. – unknown – Landlord of Railroad House at EG, Dep Co Assessor, Constable. 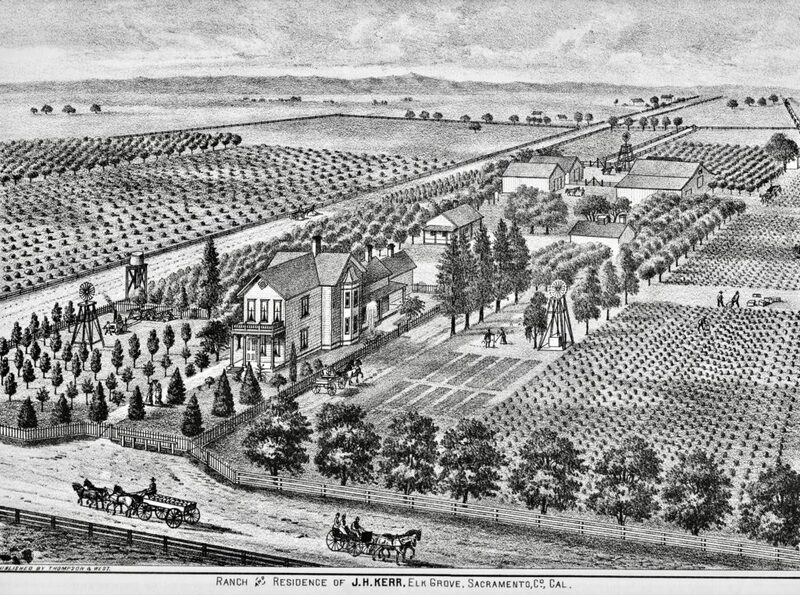 1852 – Kerr, Joseph H. – unknown – Blacksmith, Farming, Fruit, First to Plant Vineyard.